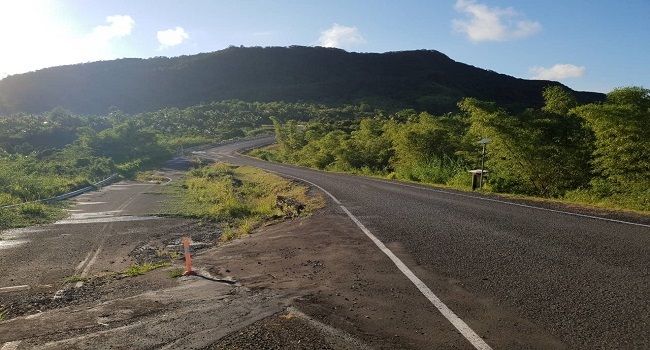 The Fiji Roads Authority has identified a few options with regards to the repair of the Lomaloma portion of the Transinsular Highway in Savusavu. FRA Chief Executive, Jonathan Moore says these options require further analysis to determine which would be the most economical. FBC News visited the site and noticed that the slip at the Lomaloma Highway has increased in size. In some places, portion of the road has dropped to about three to four feet. More says for the time being, FRA is monitoring the entire area on a two week basis. He adds, they’re also exploring all options for the traffic which will require further engineering analysis to confirm its suitability in the long term. Moore is assuring motorists that the bypass at the slip area which is currently used is safe. However, motorists are advised to drive with care and follow speed limits and signs posted at the slip area.